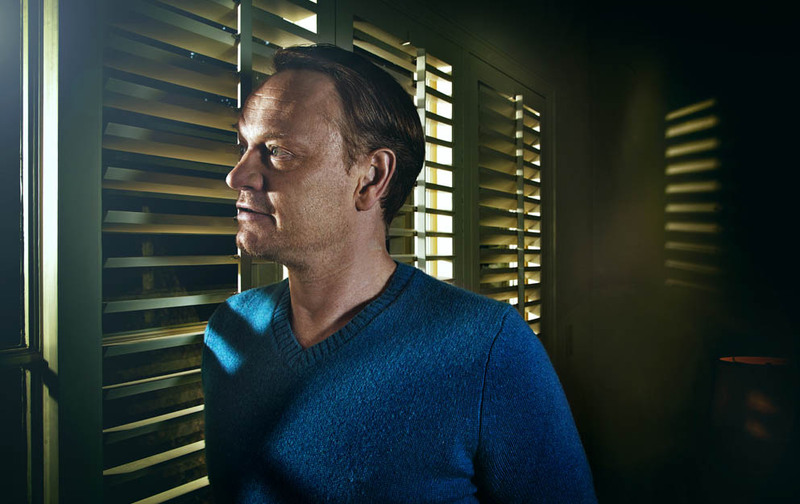 Shot at his home in the Hollywood Hills, Jared Harris is all relaxed for his shoot with Steve for the Independent On Sunday….Want to catch Jared in action? 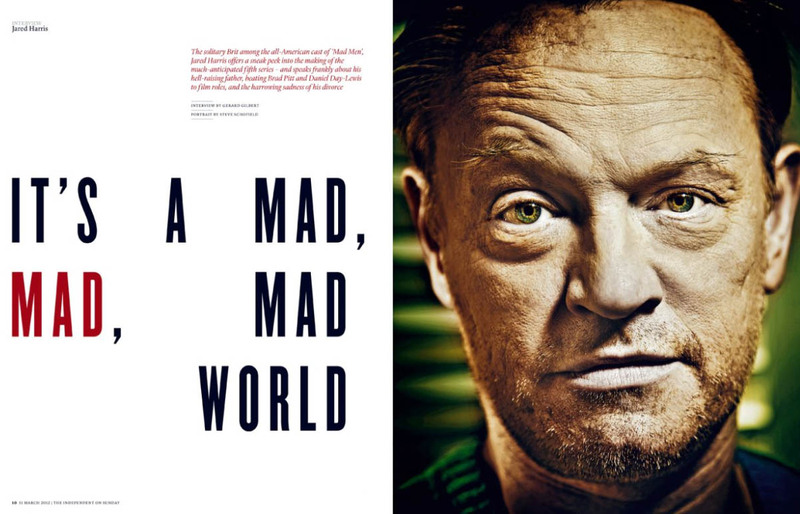 Series 5 of Mad men is out now. 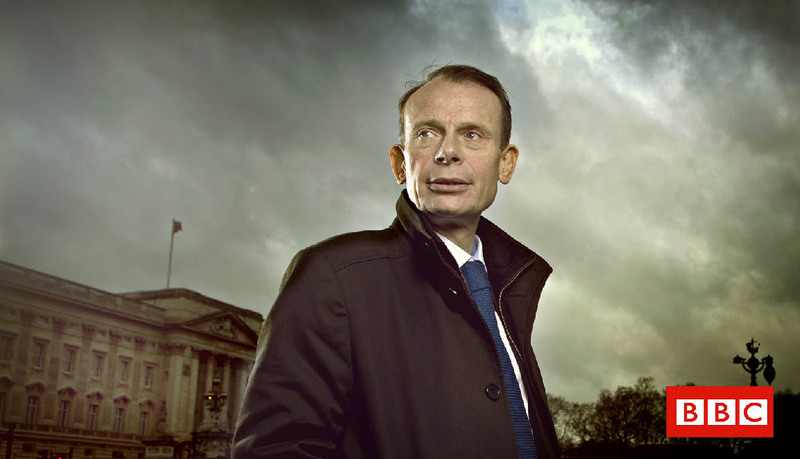 Steve shot this portrait of Andrew Marr outside Buckingham Palace to advertise BBC One’s, three part documentary series that he filmed for the queens Diamond Jubilee……’Diamond Queen’. Steve photographs Laura Haddock and co-stars Lydia Rose Bewley, Tamla Kari and Jessica Knappett from The Inbetweeners . The Box is a place where everyone’s heard of but few have been! Steve took this striking portrait of Jenny, the clubs ‘Vibe Ambassador,’ in the ladies toilets of the club…The management insisted upon it as a backdrop! ……Once all the lights and crew were in, it became an even smaller space but Steve credits Jenny as being a great performer in such a tiny space. 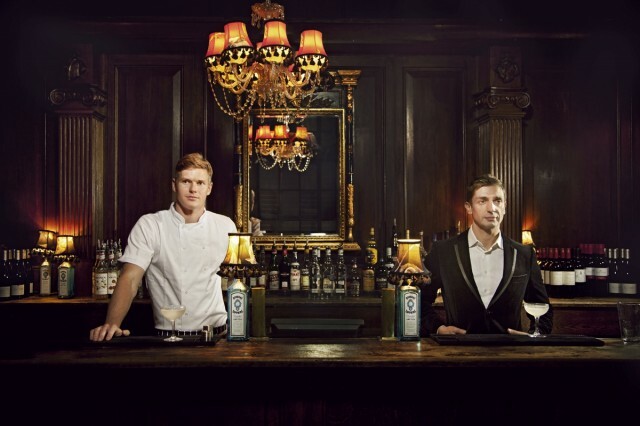 For the same party story as above for ES Magazine, Steve shoots David & Tom at their bar in London’s Bethnal Green ‘Bistroteque’. They have hosted some great parties over the years and had some great stories to tell Steve! A lovely cold sunny morning in Edinburgh. 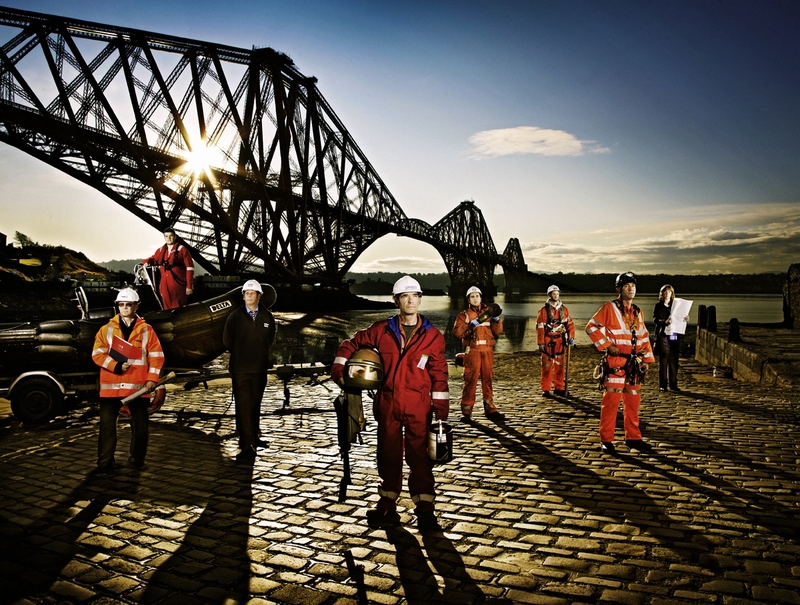 Steve shot the guys that painted the landmark Forth bridge in Scotland for Sunday Times Magazine for their article Real Britannia. 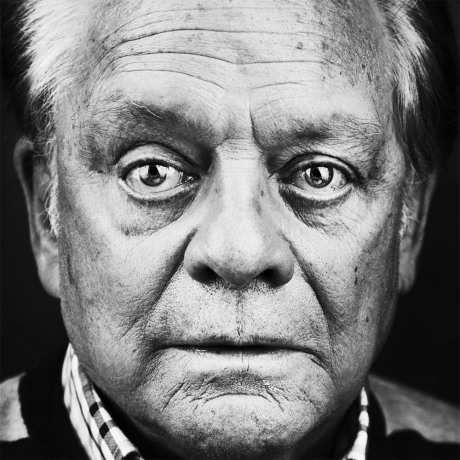 Steve took portrait of British actor Sir David Jason in London’s Groucho club for Sunday Times magazine. Shot in Lisbon for Ogilvy, for a worldwide Motorola campaign. Steve loved working with the crew especially as the make up artist’s mum ran an Italian restaurant, so they were well fuelled with lots of amazing pizza and pasta well into the night.